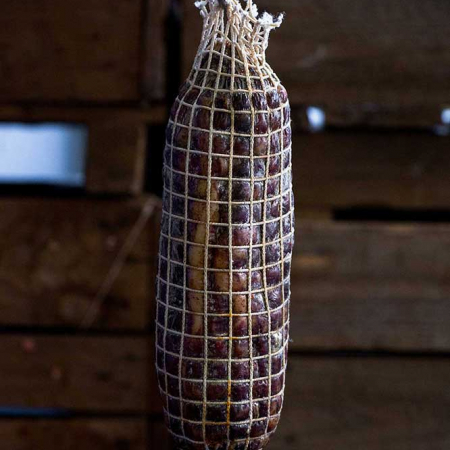 Description: Mister Cannubi Pancetta is made from the bellies of larger, older sows. They have big, well-worked muscles with loads of flavour and generous fat cover. It has been made without chemical preservatives using only salt and herbs, air and time to cure this full flavoured and delicious pancetta. The process sees the bellies trimmed and rubbed with salt, just enough salt so the end product is not overly salty. 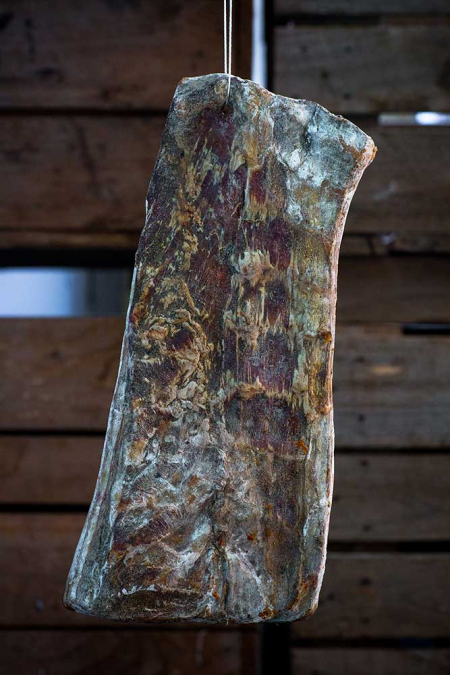 The pancettas are then hung to mature in a controlled curing room for several weeks over which time the flesh becomes dense and aromatic. 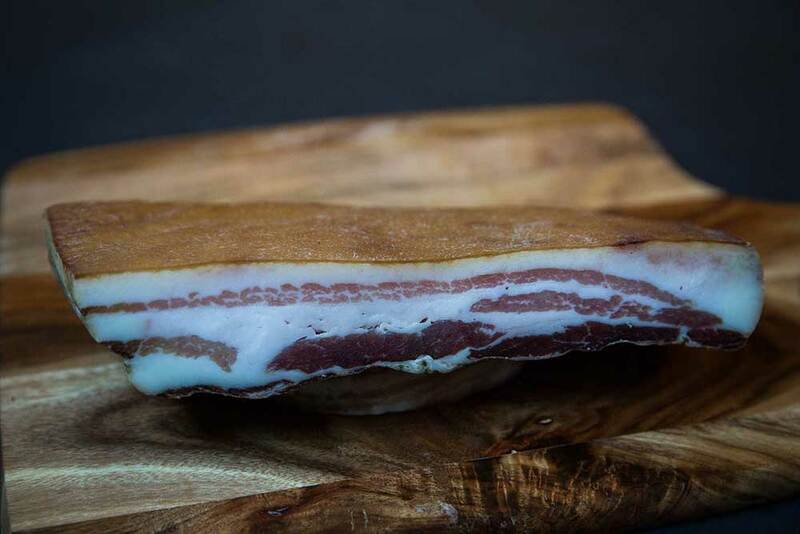 Mister Canubbi Pancetta is a salume ready to be finely sliced ready into fine ribbons to serve on a salume platter. 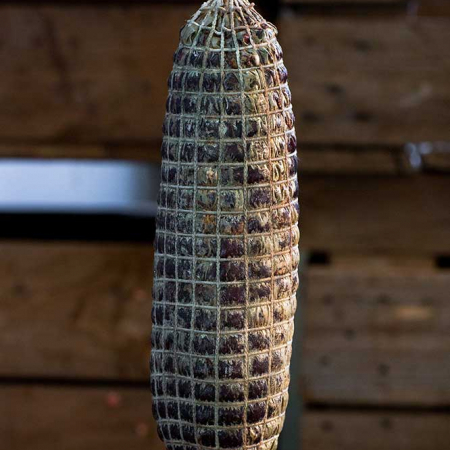 Twirl around grissini or serve with warm bread. 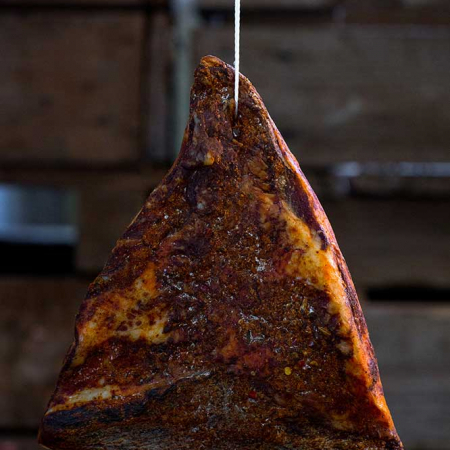 Lay over pizza fresh from the oven to reveal the enticing aromas of matured pork and fine herbs. A perfect accompaniment to red wine such as sangovese or cabernet sauvignon. Ingredients: Pork, salt, spices, herbs, sodium nitrate.